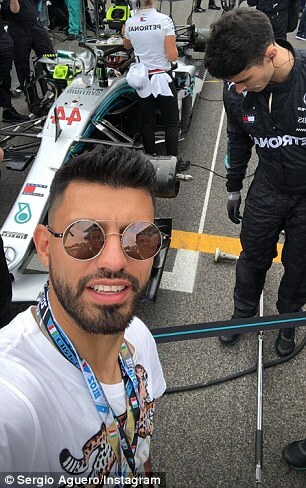 Manchester City striker Sergio Aguero was part of a star-studded line-up of special guests at the Italian Grand Prix on Sunday. 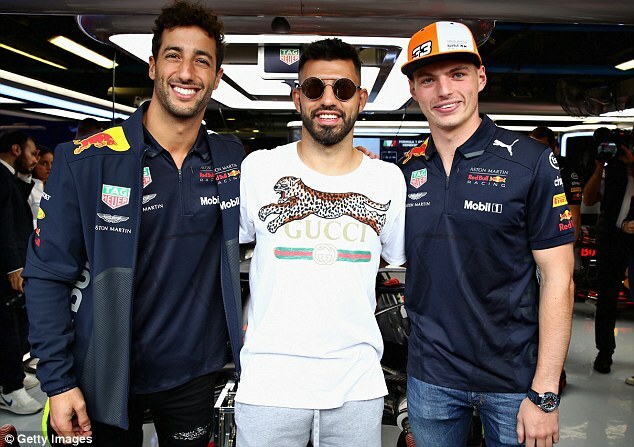 The Argentine took full advantage of his invitation to Monza as he enjoyed a walk on the grid before meeting a number of Formula One stars in the paddock. 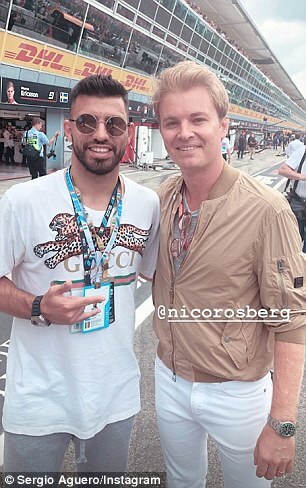 He posed for pictures with Red Bull drivers Daniel Ricciardo and Max Verstappen before bumping into retired former world champion Nico Rosberg. But the highlight of the day would have surely been a lap around the Temple of Speed with none other than former F1 driver and legendary broadcaster Martin Brundle. 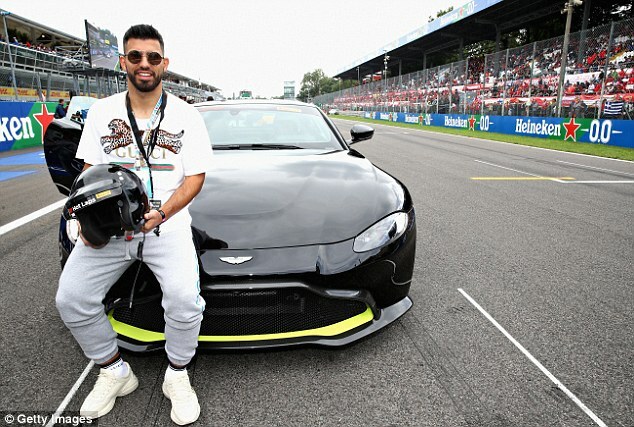 Aguero was passenger in a concept Aston Martin car as Brundle drove it around the 3.6-mile circuit at high speed. The pair later conversed on Brundle’s traditional grid walk for Sky Sports in which Aguero was left stumped by an unusual question. The Sky Sports pundit asked if Manchester City were good enough to finish second behind West Ham in the Premier League. Aguero was visibly stunned and could only reply with: ‘West Ham’? Once the action was underway, Ageuro moved into the pit and was allowed to stand incredibly close to the Williams mechanics as they completed a pit stop. He was also close by as Lewis Hamilton arrived back in the pit lane following a record-equalling fifth win at the Italian Grand Prix. The Mercedes driver overhauled both Sebastian Vettel and Kimi Raikkonen of Ferrari to seal what could prove to be a vital victory in Monza. With Vettel finishing fourth after an early collision with his title rival, Hamilton moved 30 points clear at the top of the driver standings to move closer to a fifth world title. Aguero, who like Hamilton is a Puma athlete, also had a winning weekend as he helped Manchester City to a 2-1 victory over Newcastle on Saturday afternoon. Although failing to score, the 30-year-old set up Kyle Walker’s winner to help City move up to fourth in the table with 10 points from their opening four Premier League games. Aguero will now enjoy an extended break after he was surprisingly omitted from the Argentina squad for the upcoming internationals.